Charlotte Prodger has been awarded the prestigious Turner Prize for her videos, shot on an iPhone, that deal with being queer in rural Scotland. Film 5 December, 2018 . Written by Brian Dillon. Charlotte Prodger has won the top contemporary art award, the Turner Prize, for two of her short films which were both filmed on an iPhone. 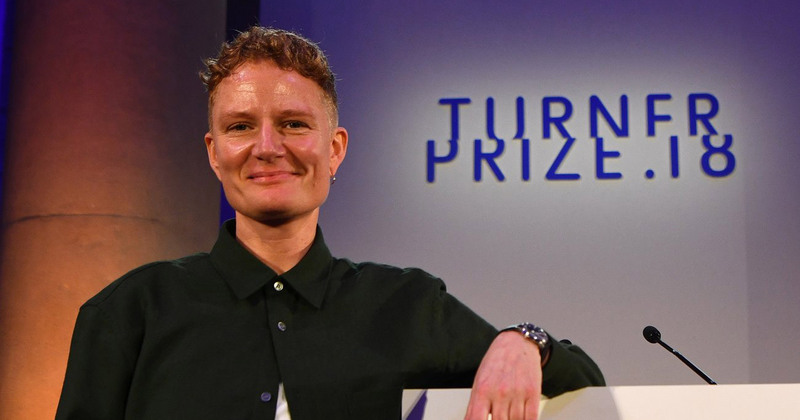 Prodger picked up the award on Tuesday, December 4 at London’s Tate Britain for her two short films which explore queer identity in rural Scotland, and was presented with the £25,000 prize by author Chimamanda Ngozi Adichie, for which she was “quite overwhelmed”. One of the videos, Bridgit, features readings from Prodger’s diaries and addresses her experience of coming out as queer in rural Scotland and explores themes of sexuality, class and gender, and frequently features Prodger herself on screen. Prodger made the film over the course of a year, capturing footage of herself on her iPhone, journeying across the Scottish countryside, on a ferry and at home. Prodger also narrates the film with personal stories, anecdotes and extracts from books on ancient Britain. A still from Charlotte Prodger’s ‘Bridgit’. “The stories that I’m telling, although they’re mine and they’re personal, are stories that a lot of people – I guess queer people – have experienced,” Prodger told BBC News. 2018 has been a wonderful year for 44 year-old Prodger, who has also been chosen to represent Scotland at the 2019 Venice Biennale. “I was thinking about the importance of self-determination to histories of queer struggle,” Prodger said when she was first nominated. “This is an encroachment on queer spaces, which is in part due to the commodification of queer aesthetic,” she added. A screening of Charlotte Prodger’s ‘Bridgit’. Prodger’s other winning title, Stoneymollan Trail, traces the history of recent video formats, such as iPhone, and explores Prodger’s personal history. Prodger has been producing such art for over 20 years and her work often explores queer themes. Bridget, as well as the work of all four shortlisted artists, will be on display in Tate Britain until January 2019. 5 December, 2018 . Written by Brian Dillon.